Apple has strategy with the iPhone has been to have a bigger update biennially and every other year you have an S version update. This has been called the dichotomy between an evolutionary and a revolutionary update. This year it's once again the time for Apple to revolutionize the iPhone once more. According to sources, Apple will be introducing a triple camera setup first time ever on an iPhone. Now reports from Japanese website Macotakara suggest that Apple is making the regular iPhone larger, or at least the display on it bigger. 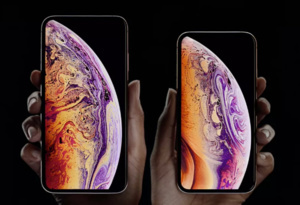 Rumors have it that both iPhone 11 and 11 Max, or whatever they will be called, are going to feature triple cameras in the back and a big OLED panels in the front. The Max version is said to be 6.5 inches just like last year but the regular iPhone's display is going from 5.8 to 6.1 inches. According to the same "trustworthy source", the iPhones are not going to adopt USB-C charging connector yet, unlike the iPad Pro, but they will charge much faster with the new 18 W charger.